This Halloween could end up being a true life nightmare for 206 Michigan dispensaries and the patients that they serve. And the roller coaster ride that’s led them to this point has been anything but a good time. The initial deadline for dispensaries to get a license or shut down was June 15th But in its eternal striving toward ultimate red tape inefficiency, the state didn’t get around to approving the first dispensary license until July 12th. So out of the goodness of their hearts (or likely some more suspect reason), the June deadline was extended to September 15th. At that time, there were 98 dispensaries that had submitted the initial applications that were due by February 15th. They didn’t submit the second step of the application in a timely manner though, so they were facing the real possibility of cease and desist orders to shut down. Continuing to operate meant running the risk of not being able to get a license at all. Many dispensary owners had their hands tied. For example, a Flint dispensary owner was waiting for final approval from the city before completing both steps of his application. And suddenly he was preparing to shut down, lay off his four employees and get rid of all the inventory in his store. He was one of the 13 out of 14 dispensaries that were going to have to put up the shutters. Still, the state held firm that those 98 dispensaries must abide by the September deadline. At least for about 108 medical marijuana dispensaries whose owners got their initial applications in by February 15th, had submitted the second application by June 15th, and had approval from the communities where they were operating. 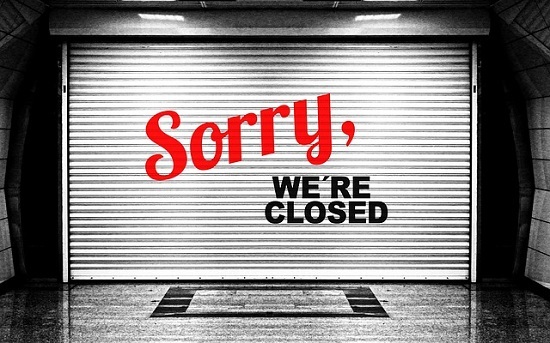 But what of the 98 dispensaries facing shut down? Enter attorney Denise Pollicella. She stated that the new emergency rules by the state Bureau of Medical Marijuana Regulation that extended the closure deadline for the 108 dispensaries, but not the other 98, were unconstitutional because the rules treated different categories of medical marijuana businesses differently. When that didn’t work, she filed a request for an injunction with the Court of Claims and got a ruling from Judge Stephen Borrello just 90 minutes later. He ruled that the December 15th deadline be extended to all temporarily operating facilities. This was great news for the dispensaries who were telling their patents in the especially underserved areas of Lansing and Flint that they would have to drive to Detroit to get their product. Operating a cannabis business is hard work. And just when the dispensaries felt firm in their footing and the ability to go through the rigorous application process in time, Michigan’s emergency rules governing medical marijuana got tweaked again. This time they imposed a Halloween deadline for 206 dispensaries to either get a state license or be forced to shut down. The state offered little explanation for its change of plans – though they do claim to have a “robust agenda” toward approving more licenses. Whatever that means. Meanwhile, Pollicella feels that the Halloween deadline is sour grapes on the part of the state bureaucracy that claims it wants to get the marijuana industry up and operating sooner rather than later. So now the dispensaries are scrambling again. And patients are facing the very real possibility that the relief they’ve come to depend on won’t be available. All because of a new regulated market that makes it much more expensive for business owners. Even once they’re licensed, they need to come up with a $48,000 regulatory assessment to the state, pay city fees, get their products tested under a more stringent set of state guidelines, and pay a 3% tax on the gross receipts of the dispensary, as well as the state’s 6% sales tax. And that’s a huge ball of red tape.